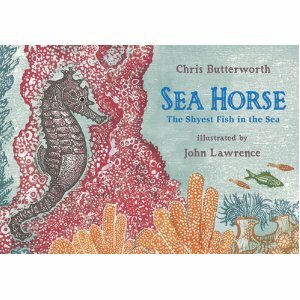 The wood cut watery illustrations in Sea Horse are beautiful. The current of the illustrations and fluent informational text put the reader under the water- up close and personal with the shy and magical Sea Horse. This is the type of book I hope to see in science classrooms for students of all ages to enjoy and learn from. 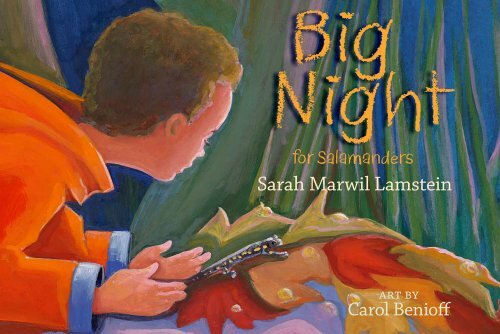 Some Spotted Salamanders on their way to find a vernal pool might just need some help from a very caring boy, on a big night in nature. 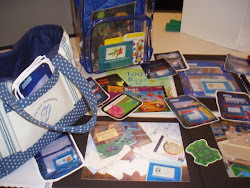 A rainy night offers magical experiences and this book will evoke the inner scientist in all of us!